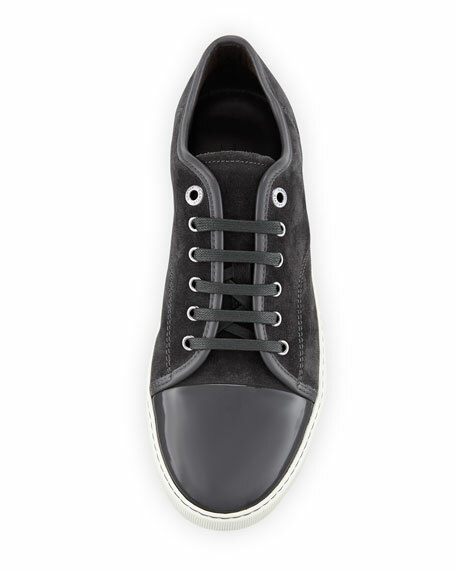 Lanvin sneaker with suede upper and leather trim. 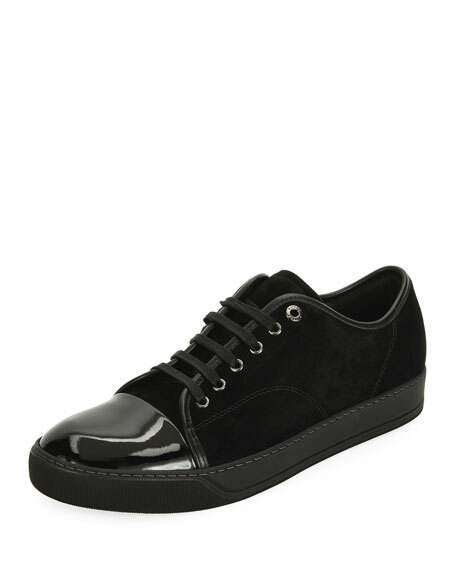 Black patent leather cap toe. For in-store inquiries, use sku #290556.